5 Things to Know Before You Try the "Lob" — shelbey w.
5 Things to Know Before You Try the "Lob"
There's no doubt the infamous "Lob" hairstyle has taken the world by scene throughout the past 2-3 years. This iconic, yet "simple chic" style seems to be a trend women (and some men) are converting to. I happen to have some experience in this style department because I myself have been rocking the cut for nearly 4 years now - and I don't plan on stopping anytime soon! For years I had a medium/long length hairstyle, even resorting to extensions for some occasions. No matter what I did to my style (ex. layers, bangs, different coloring, etc.) I never felt like it was "me". Close to 4 or 5 years ago, I stumbled upon Kate Bryan (from The Small Things Blog) and her hair tutorials via Pinterest. She had the most perfect looking Lob I ever did see! Still to this day, I give the "Lob Craze" credit to her and her SUPER popular Pinterest tutorials and hair photos. Gradually, I found myself going shorter and shorter every time I visited my stylist, almost always using Kate's hair for inspiration. A few years later, here we are! I can honestly say this cut suites not only me and my style, but also my lifestyle. It's breezy, easy to manage, and I can almost always count on having a "good" or "decent" hair day! 5 Things to Know Before Trying the "Lob"
Take the length gradually: If you are a custom to having long hair (anything past the shoulders), I wouldn't recommend chopping your hair off cold turkey. I've seen this WAY too many times: Someone I know with VERY long hair decides to take the Lob plunge immediately, and then BAM, complete self-image shock. You simply won't have time to adjust to the length change, therefore, probably won't enjoy the style as much. You also might realize you don't want to go as short as you thought you did! Make sure you have the right styling tools: Many times, people don't realize that going from 24 inches to 8-9 inches requires a MUCH smaller curling iron/wand barrel, and even straightener styles (believe it or not!). Make sure you have a good ole' fashion 3/4 inch curling iron on hand. This can get the job done no matter what! Round brushes are also something to take into consideration. You'll need a much smaller round brush to blow dry your hair properly. Lastly, I would recommend a flat iron with flat plates and a flat casing (meaning no rounded features covering the plates). This makes the curling and straightening process easier because you don't have that bulky casing getting in the way of anything. Practice and Research Hairstyles: If you're someone who enjoys intricate hair styles such as braids or updos, you may want to consider keeping a longer length Lob. 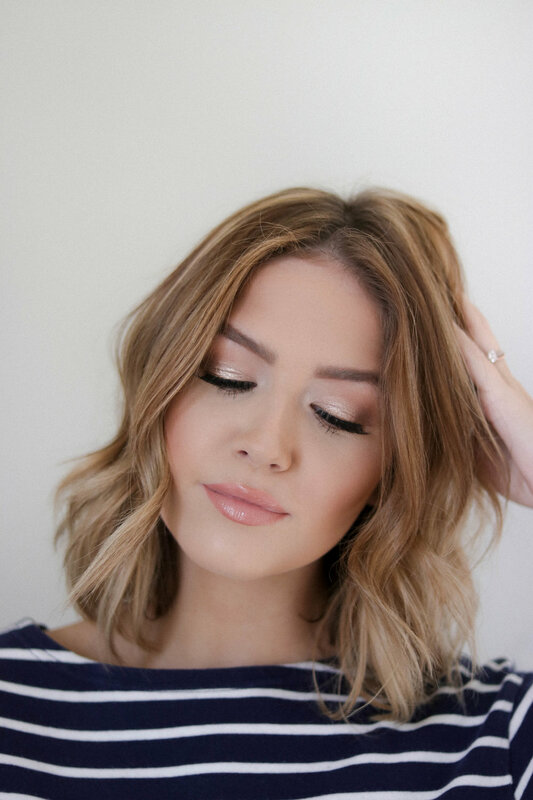 Although, it is possible to achieve really cute styles, even with a shorter Lob, it may take some time getting used to or even learning how to do. Research hairstyles that can go alongside the length you are choosing and see if they will be achievable for you and your cut. Be realistic to your lifestyle: Are you someone who works out a lot? Does your job require you to wear your hair up? These are things to keep in mind as well. I think one of the biggest shocks in going from an average/long hair length to a Lob, is not being fully able to put all of your hair up. For example, I compensate a bad hair day with a hat, where as most people might put their hair up in a cute pony tail or braid. Just give it a shot: There are few people I have met that didn't enjoy some version of their Lob. I think it's about finding that "perfect length" or symmetry that you like. For me, Lobs are just as much fun as any other longer style! For now, the Lob is the style for me! Have you ever rocked a Lob? Are you thinking about it? I'd love to hear your thoughts!